Find a vacation home to rent in Listed from our list of vacation rental properties. Campaya has over 9 vacation homes available in Listed, which give you the possibility to locate a unique accommodation in Listed which completes your check-list in search for the perfect self catering vacation apartments in Listed or vacation villas in Listed. 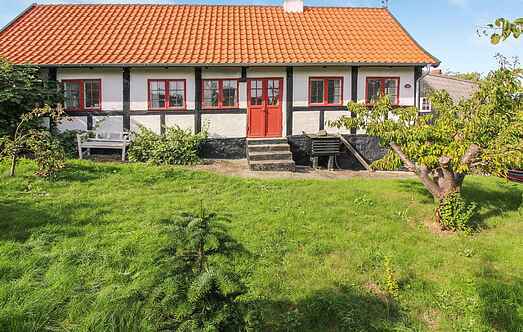 This enchanting holiday home is located near the Bornholmer rocky coast and offers spectacular views of the sea. This 2-storey classy holiday house offers sea view and is situated in an attractive location. The house is beautifully furnished and has well-lit rooms. This unique, 2-storey classy house stands on an open nature plot, in an attractive location and offers a fantastic panoramic view. This completely renovated and very charming apartment is spread over two floors and is located in the popular fishing village of Listed. This wonderful holiday house is well furnished and has a large wooden terrace. The garden is beautiful and has elegant furniture.